On 20 June 2018, the Philippines' Department of National Defense, through its Public Affairs Director Arsenio Andolong announced that the Philippine government is returning the acquisition of diesel-electric submarines to the Php300 billion Horizon 2 phase of the Revised AFP Modernization Program. This was met by mixed reactions by the public, considering the acquisition of submarines is a very big leap for the Philippine Navy and the Armed Forces of the Philippines in general due to submarines being considered a "first world military asset" due to its acquisition and upkeep cost, although it is described as a game-changer in the country's defense capabilities. But not all are impressed, considering it was mentioned by the DND that the Submarine Acquisition is being put forward without increasing the Php301 billion Horizon 2 Priority Projects budget. This means that certain defense projects may be sidelined to allow the Submarine Acquisition to be given priority, among other reasons. But the main underlying question here is if the Philippine Navy is ready for submarines? The Scorpene-class conventional diesel-electric submarine was among those offered to the Philippine Navy lately. This class was designed and made by Naval Group of France, formerly known as DCNS. Photo taken from Navy Recognition website. Many may not know this, but the Philippine Navy has been longing for a submarine capability since the 1950s. The Philippine Navy requested for 3 World War 2 era diesel submarines from the US government, together with PBY Catalina flying boats. In the end, only the flying boats arrived, which were assigned later on to the Philippine Air Force (thanks to naval historian and MaxDefense guest writer PCG Cdr. Mark Condeno for this heads-up). In the 1970s, former Philippine Pres. Ferdinand E. Marcos expressed his desire to acquire submarines from other countries, specifically diesel-electric models from friendly countries like US and Germany. There were queries made with the German government back then for the small Type 206 coastal submarine, and larger Type 209 submarine, although that is as far as the Philippines has gone back then. The submarine desire continued on until the 1980s up to the 1990s, when former Philippine Navy FOIC (now Maritime Academy of Asia and the Pacific President) VAdm. Eduardo Ma. Santos endorsed in 1998 the concept of the Philippine Navy having submarines under the AFP Modernization Program mandated by RA 7898 and approved in 1995, and opened up the possibility of acquiring midget submarines from Italy's Cosmo S.p.a. as a preliminary move, while moving on to conventional diesel-electric submarines in the near future. It also appears that the Philippine Navy sent officers to Pakistan to study their midget submarines built locally based on a design acquired from Italy. The Cosmo MG120/ER midget submarine, which was considered by the Philippine Navy back then should they push to acquire midget submarines to train and familiarise the service in Submarine Warfare. Photo taken from Cosmo Spa through Maritime Review Philippines. Aside from that, the Department of National Defense even sent a Philippine Navy officer to study submarine design and construction in preparation for any future requirement to acquire new submarines. 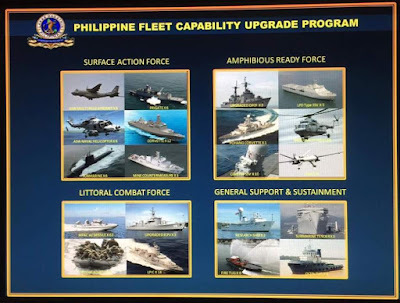 The AFP Modernization Program from 1995 to 2010 passed without the Philippine Navy acquiring submarines, or even a meaningful surface fleet that it can actually say as modern. And it was only natural that submarines will again be floated for acquisition when the Revised AFP Modernization Program mandated by RA 10349 was approved in 2013. In the Revised Philippine Navy Modernization plan as shown on the "Desired Force Mix" released by the PN in 2014, the plan was to acquire at least 3 conventional diesel-electric submarines within the 2013-2028 timeframe. The Philippine Navy Desired Force Mix plan released in 2014, as a guideline of acquisitions for the Revised AFP Modernization Program between 2013 to 2028. Photo credited to the former Timawa.net forum. 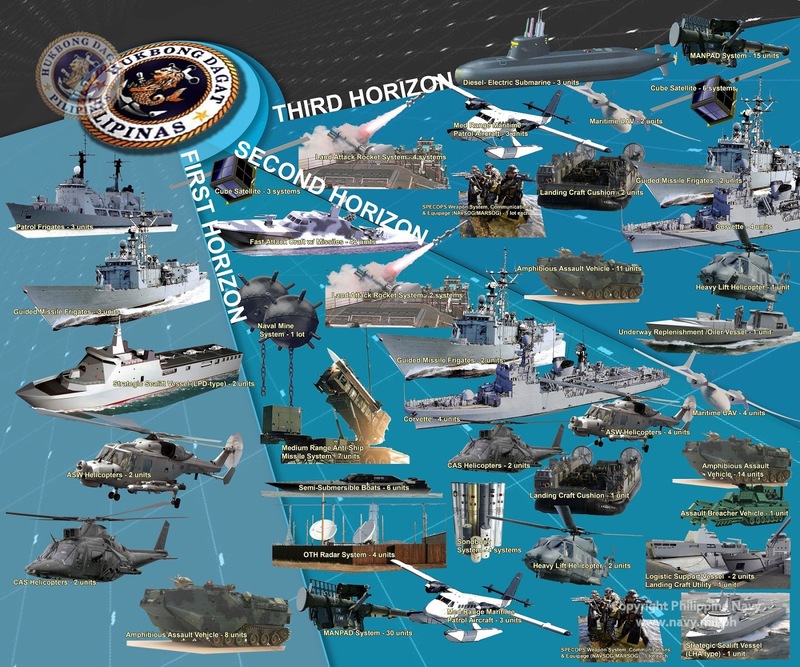 In 2015, another info-graphic was released by the Philippine Navy, again with the conventional diesel-electric submarine still in the acquisition plan, but clearly defined to be part of the Horizon 3 phase from 2023 to 2028. 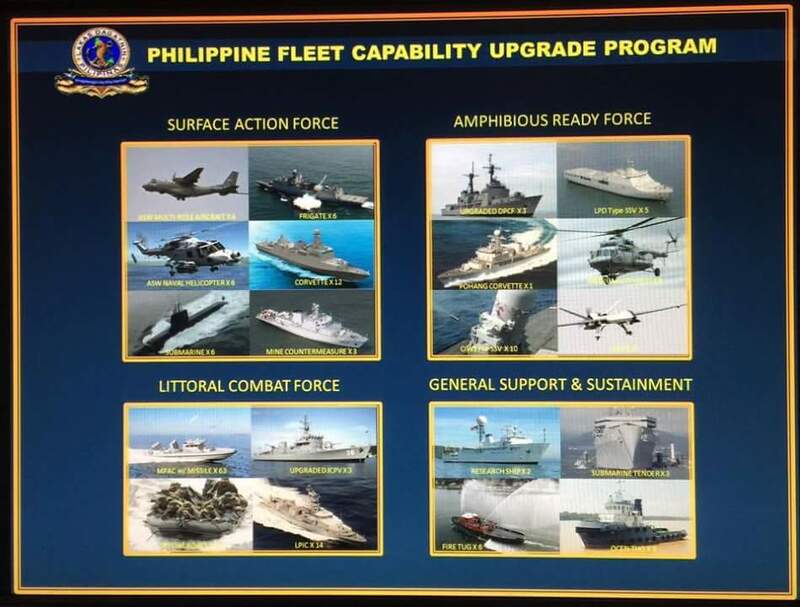 The Philippine Navy's infographic releassed in 2015 on expected acquisitions under the Revised AFP Modernization Program from 2013 to 2028. It shows that the Submarines are to be acquired in the Horizon 3 phase from 2023 to 2028. Photo taken from the Philippine Navy's webiste. Finally, another info-graphic was published by the Philippine Navy in their April 2016 official publications, indicating that the Submarines are integral part of the Surface Action Force of the Philippine Fleet. In a departure from previous plans, it now indicates that the Philippine Navy will need to acquire 6 submarines instead of just 3 to provide a better deterrent capability. This infographic was released by the Philippine Navy in April 2016, shows that the Philippine Navy will now require 6 conventional diesel-electric submarines for the Revised Navy acquisition plan from 2013 to 2028. 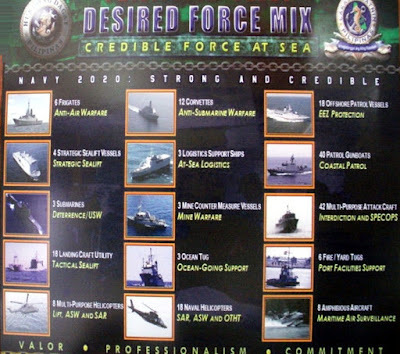 Photo screenshots taken from the Philippine Navy's official publication. This was later on supported by the submissions made by the Philippine Navy for their Capability Plan under the Horizon 1 to 3 phases, wherein they submitted in 2016 a plan to acquire 2 conventional diesel-electric submarines within the Horizon 2 phase, and 4 more similar submarines in the Horizon 3 phase. This was taken from one of the submitted reports of the Armed Forces of the Philippines to the Department of National Defense in 2016 which highlights the proposed acquisition program of the Philippine Navy from Horizon 1 (and remnants of the old RA7898 AFPMP), as well as the Horizon 2 and 3 phases of the Revised AFPMP. 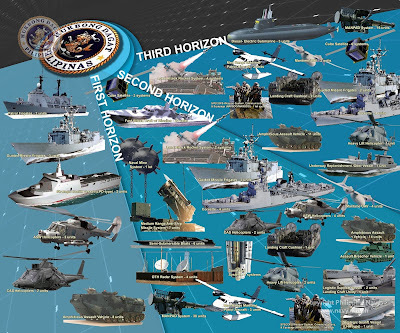 It clearly indicated the need for 6 submarines, in which 2 to be acquired in Horizon 2 phase. Photo taken from MaxDefense's sources from the Philippine Navy. Between 2016 to 2017, further improvements were made by the Philippine Navy for their Horizon 2 and 3 phases proposal for submission to the Office of the President. With a new president at the helm of the country with promises to improve the Armed Forces of the Philippines into new heights, the Philippine Navy again tweaked their acquisition proposal under the Horizon 2 phase. Instead of just acquiring 2 conventional diesel-electric submarines, they now moved even more aggressively forward by instead requesting a fleet of 3 conventional diesel-electric submarines worth Php20 billion each, 7 Midget Submarines for Php5 billion each, and 6 two-man Swimmer Delivery Vehicles for Php35 million each. This is by far the most ambitious proposal made by the Philippine Navy, and was among those submitted to the Office of the President in Malacanang in early 2017 as part of the Php367.7 billion Horizon 2 program for the Philippine Navy alone. Aside from that, the Philippine Navy has finally made a Submarine Group in its command under the Philippine Fleet, to allow the study of submarine and submarine warfare, as well as prepare the Philippine Navy in its acquisition of submarines. Officers and men assigned to this group were given the chance to study abroad on basics in submarine warfare as well as in submarine construction. The last version of the proposals made for Horizon 2 phase included the acquisition of 3 conventional diesel-electric submarines, 7 midget submarines and 6 swimmer delivery vehicles, all for a total proposed budget of Php95.21 billion. This proposal was shot down by the government due to high costs. The resulting approved Horizon 2 acquisition did not include any submarines. Photo taken from MaxDefense sources from the DND. Unfortunately, the aggressiveness might be too much, as the proposal was shut down by Pres. Duterte and his economic team due to the high price of the proposal. The Philippine Navy was again requested to revise their program to under Php75 billion pesos only. The result of this became part of the recently approved Php300 billion Horizon 2 Priority Projects program, wherein the Philippine Navy is getting Php77.6 billion only. In this approved acquisition program, none of the submarines proposed earlier were included. Not even the two-man Swimmer Delivery Vehicles was there. Instead, any submarine acquisition will be made in the Horizon 3 phase of the RAFPMP, which is scheduled from 2023 to 2028. Nonetheless, the Submarine Group continued to exist and continue its mandated task of preparing the Philippine Navy for submarine operations. Then the unexpected happened when in June 2018, DND's Public Affairs Dir. Arsenio Andolong announced that Pres. Duterte and Defense Sec. Delfin Lorenzana has agreed to the request made by Philippine Navy FOIC VAdm. Robert Empedrad to front-load the acquisition of at least 2 submarines into the Horizon 2 phase. As early as the Submarine Group's formation, the Philippine Navy has already released a Request for Information (RFI) addressed to several international submarine builders to provide information about their respective products. This is to allow the Philippine Navy to determine what can be acquired with the proposed budget. According to MaxDefense's sources from the Philippine Navy, among those that replied and provided information are Saab Group - Kockums of Sweden, ThyssenKrupp Marine Systems (TKMS) of Germany, Naval Group (formerly DCNS) of France, Daewoo Shipbuilding and Marine Engineering (DSME) of South Korea, and Rosoboronexport of Russia. Based on information we gathered, the offers made by these shipbuilders were: a derivative of the A26 submarine design from Saab Kockums, the Type 209/1400, Type 210mod, and Type 212A from TKMS, a derivative of the Scorpene-class from the Naval Group, the Chang Bogo-class from DSME, and the Project 636 Kilo-class from Rosoboronexport. Due to this blog entry's focus on the Philippine Navy's readiness on submarine operations, MaxDefense will discuss the submarine offers in a separate blog in the future. Aside from providing information on their submarine products, these shipbuilders already came forward with providing different offers to the Philippine Navy. It appears that numerous meetings have already been made between the Department of National Defense and/or the Philippine Navy, and these foreign shipbuilders or their counterpart defense ministries. Remember the visit made by Pres. Duterte to Russia, which was shortened due to the Marawi crisis? He was supposed to visit the Admiralty Shipyard in St. Petersburg, Russia, which builds the Kilo-class submarines. This was a move made by the Russian government to convince the president and his defense and naval leaders to consider Russian submarines for the PN's modernization program. TKMS, DSME, Saab Kockums and Naval Group executives were reported to have visited the Philippine Navy and the DND for meetings in the past 1 year alone, with the DND's team led by Defense Asec. Jesus Avilla even met with DSME executives in South Korea just last March 2018 as part of the PH-SK Joint Committee Meeting, including a visit to one of the Republic of Korea Navy's Chang Bogo-class submarine ROKS Park Wi, which is now in Hawaii participating in RIMPAC 2018. TKMS was said to be offering the Type 210mod (top) and Type 209/1400, while DSME offered the Chang Bogo-class submarine (above) which is actually a Korean version of the Type 209/1400. Credits to sources of photos. The Philippine Navy has been studying the acquisition of submarines for several years now, and the results of these studies can be seen on the Philippine Navy's decision to organize and open the Submarine Group under the Philippine Fleet. MaxDefense will base its statements below on the Philippine Navy Submarine Group's roadmap. The primary purpose of acquiring submarines is to raise the combat strength and capability of the Philippine Navy, and in effect the Philippine government as a whole. This will allow the Philippines to defend itself better from foreign threats, and conduct operations that will be beneficial to the defense of the country. This includes projecting power beyond the shores of the country, as submarines can be used for offensive purposes including launching on land and naval attack missiles against land and sea targets, as well as gathering intelligence and conducting surveillance without being detected by air, naval, and space assets. It can be used also for delivery of SEAL divers for other naval operations that involve special operations. Sea denial is another capability that submarines can provide, as submarines cannot easily be found, and may leave the opposition guessing on where the submarines are. This gives the Philippine Navy an advantage of keeping the enemy guessing, while submarines has an advantage of striking naval ships without being detected initially. The Philippine Navy actually compared the different procurement approaches made by its neighbouring countries in the ASEAN region. 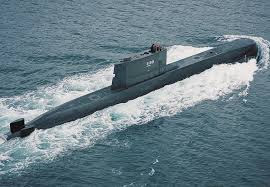 Indonesia has been operating submarines since the 1960s, and while their old Soviet Whiskey-class submarines were retired in the 1970s, the acquisition of the Cakra-class (Type 209) submarine from Germany in 1981 benefited from the Indonesian Navy's previous experience in submarine operation. Vietnam's approach was for the acquisition of new submarines, while training and preparing their men and facilities while the submarines are being constructed. Vietnam signed a contract to acquire 6 Kilo-class submarines, inclusive of training in 2009, and received their first Kilo-class submarine in 2014. Malaysia's approach was for the acquisition of new submarines first, then acquiring a second-hand Agosta-class submarine to allow training and preparation while their new Scorpene-class submarines are being built. 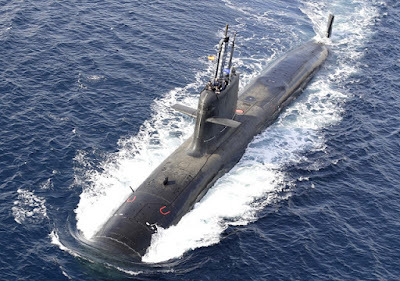 Malaysia signed a contract with DCNS to acquire the Scorpene-class submarines in 2002, acquired the Agosta-class submarine inclusive of training from the French government in 2005, and received the new Scorpene-class submarine in 2009. It was only in 2013 that the Royal Malaysian Navy established their Submarine Simulator Training Center to further train and qualify future submariners. Singapore bought 2nd hand submarines first to train its men on submarine operations, and made use of these old submarines to gain experience and confidence before acquiring new submarines. Singapore acquired 2 Sjoormen-class (renamed as the RSN's Challenger-class submarines) from Sweden, inclusive of training in 1995, and bought used Vastergotland-class submarines (renamed as the RSN's Archer-class) from Sweden inclusive of training in 2005, before signing up for new submarines from Germany in 2013. Thailand's approach is different, by training first before acquiring any submarine. They had knowledge transfer, education and training agreement with Germany first in 2012, and established a Submarine Simulator Training Center in 2014. 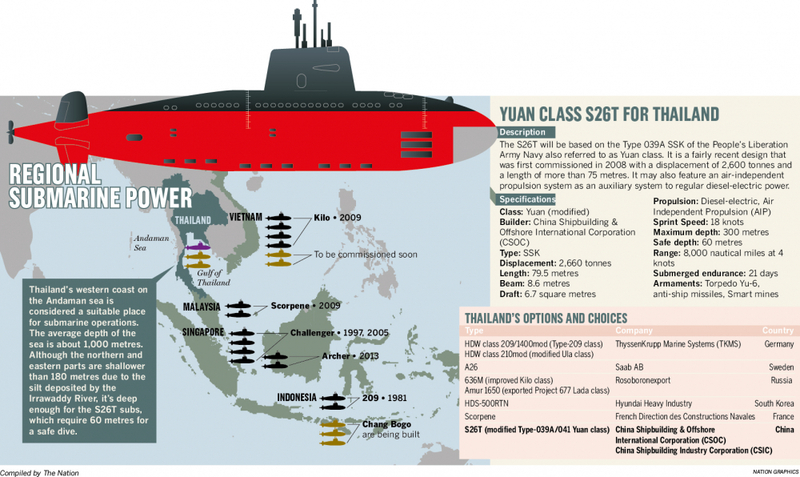 It was only recently that Thailand signed up to acquire a submarine using the S26T Yuan-class from China. 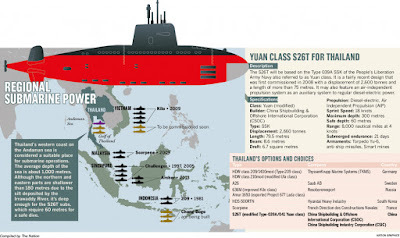 When Thailand started to acquire submarines, the ASEAN region is already in an acquisition spree, with Singapore, Malaysia, Indonesia and Vietnam already having capable submarine fleets of their own. The Philippines, if ever, will be the 6th country in the region to start investing in submarines if this program by the DND and Philippine Navy pushes through. Photo/illustration taken from The Nation (Thailand) website. The Philippine Navy's approach appears to be similar to Thailand, considering the Philippine Navy has been sending its men for training with other navies including Germany, India, and South Korea. 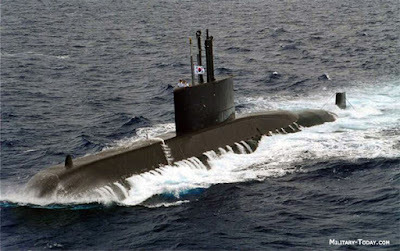 The PN has also stepped up its training programme for submarine operations, with the Department of National Defense already pushing to have training agreements with South Korea's Submarine Force Command, as well as other countries. Horizon 2 will be on Infrastructure, Support Development, and Acquisition. This phase is where advance submarine education programs will be made and conducted, while having material acquisitions including setting-up the Submarine Simulator Training Center, infrastructure development including basing and support facilities, and signing up for the acquisition of submarines. Horizon 3 phase - Delivery and Acceptance. This phase will include the continuation of submarine education program and making it a permanent part of the Philippine Navy's training curriculum, as well as the delivery of new submarines for the Philippine Navy. This phase also allows actual submarine training using the foreign and PN submarines, while also training on sustainment, preventive maintenance and repair works. MaxDefense believes that this is the reason why PN FOIC VAdm. Empedrad pushed for the acquisition of submarines within the Horizon 2 phase, to allow the PN to receive their submarines within the Horizon 3 phase and push forward its Submarine Capability Roadmap despite the odds especially in financial capability to fund the program. This is the Philippine Navy's Submarine Capability Roadmap. Photo provided by Philippine Navy NRTDC. It is true that Pres. Duterte and Defense Sec. Lorenzana agreed to assist the Philippine Navy acquire submarines within the Horizon 2 phase due to FOIC VAdm. Robert Empedrad's explanations during previous Senior Leaders Meetings. But it appears to be conditional. 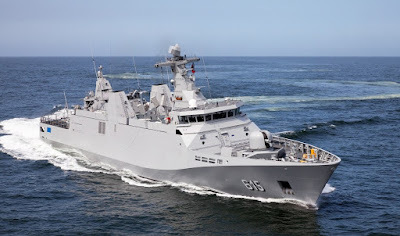 The Philippine Navy was asked to make a proposal on how to make this possible, and so far the Philippine Navy is not yet ready to make an agreeable proposal on how to do it. Option #1: The acquisition of 2 conventional diesel-electric submarines will be made as part of the 2nd List of Horizon 2 phase, which is a back-up program that will only be started if the government is successful in funding the Php300 billion Horizon 2 Priority Projects acquisition plan. 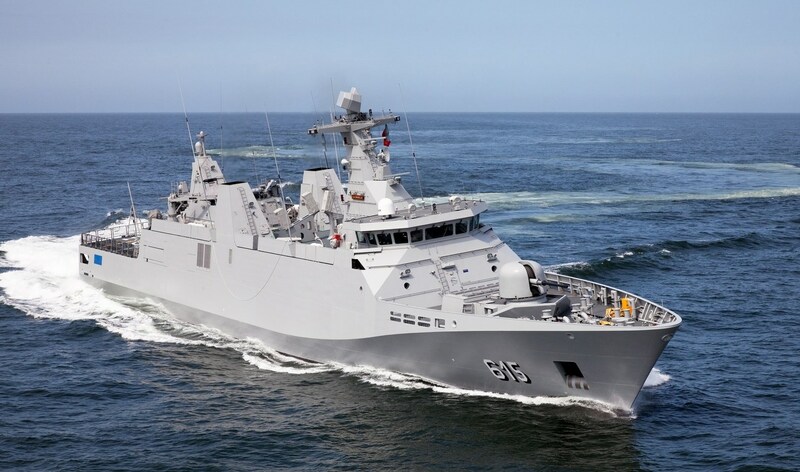 Option #2: The budget for the acquisition of two brand new corvettes worth Php28 billion will be reduced, and a follow-on order for 2 more light frigate from Hyundai Heavy Industries will be made. The budget cut from the corvette project will be increased by a boost from the Office of the President, or from other sources outside the Php300 billion Horizon 2 plan. Option #3: The Corvette Acquisition Project under Horizon 2 will be shelved, freeing the entire Php28 billion originally allocated for it, while getting a boost from other sources of funding to fill the budget gap of more than Php12 billion to acquire 2 submarines. Option #4: Either to do Options #2 or #3, but instead of sourcing funds from other sources, the PN will either take out its other acquisition plans to raise the needed Php40 billion for 2 submarines, or get the budget from other projects from the Philippine Air Force, General HQ AFP, or Government Arsenal, which means shelving their own approved projects to give way for the submarine acquisition. Of all the options, the most feasible to MaxDefense and most of our sources from the Philippine Navy is Option #1. But this also appears to be the most difficult to achieve considering the Philippine government is heavily relying on the success of its TRAIN Tax Reform program, and the income of Bases Conversion Development Authority (BCDA). Up to now, there is no guarantee that TRAIN would be successfully implemented without backlash in other economic advantages. 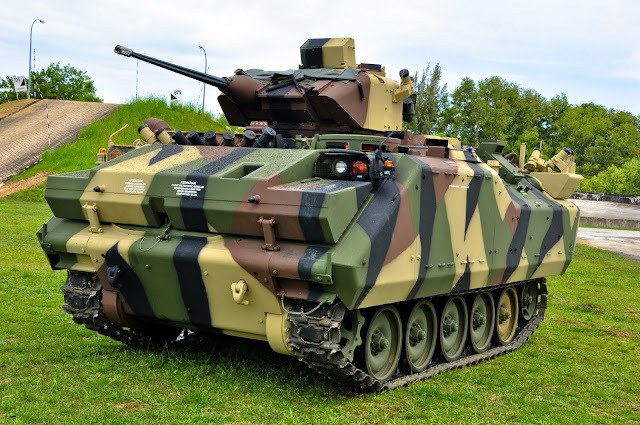 Even the proposed increase in the Department of National Defense's budget for 2019 isn't clear yet if its going to be used for the AFP Modernization, or for retirement benefits. But what is clear though is the instruction given to the Philippine Navy to start the acquisition process, which the Philippine Navy appears to be giving importance now based on the actions made by the Philippine Navy's leadership as well as the PN's Submarine Group, with the support from the Department of National Defense. Will the acquisition of Corvettes for the Philippine Navy be affected by the plan to front load the acquisition of submarines into the Horizon 2 phase without increasing the budget? MaxDefense fears this might be the case, unless the DND and PN place the Submarine acquisition project under the 2nd List of Horizon 2 which will be funded separately once the Philippine government finds ways to do so. Credits to owner of the photo, for reference only. One more issue that is hampering the acquisition of submarines is the ability of the Philippine Navy to construct at least one, or at best two purpose-built submarine bases in the country. Currently the Philippine Navy is already in a tight situation, wherein it cannot even construct a proper naval base that could house its existing surface ship assets like the Del Pilar-class frigates and the Tarlac-class landing platform docks. These ships are using civilian piers in Subic Freeport, Manila, Davao, and Zamboanga City as temporary basing, and has become a very inefficient way for the PN to provide for the ships. If the Philippine Navy can't even fix their main base in Sangley Point, Cavite, or is even having delays and difficulties in making Naval Base Cebu a reality, then it is really doubtful for the Philippine Navy to even have enough capability for submarine base construction very soon. At best, the submarines will end up using the same berths and wharfs as the surface ships of the Offshore Combat Force or the Sealift and Amphibious Force. The Philippine Navy is also inexperienced in submarine basing design and construction, and is currently looking for foreign consulting for this requirement alone. Most, if not all submarine offers made to the Philippine Navy included proposals to provide consultancy for the design and construction of submarine basing. This is actually the best way forward, as it allows the Philippine Navy to deal with a single group from basing to submarine construction. Construction of submarine bases will take years to complete, as their requirements are more intensive than normal surface ship bases. 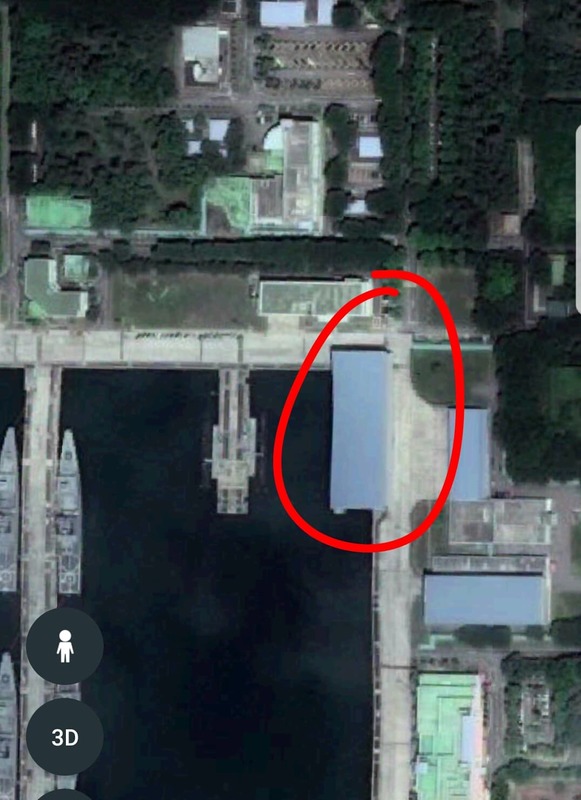 MaxDefense believes that due to the strategic value of these submarines plus the limited quantity vis-a-vis a largest foreign threat, the Philippine Navy should consider making their submarine base less visible to the public, or at best, covered to protected from surveillance satellites or aircraft. Here is an example of a submarine shelter that allows submarines to be hidden from surveillance satellites or aircraft. It is simply a wharf hidden by erecting a huge steel structure with roofing and walls, enclosing the wharf. MaxDefense believes that the waters in the base are deep enough for the submarine to be partially submerged when entering or exiting the naval base. Photo taken from Google Earth. If the Philippine Navy intends to order submarines within the next few years, they should be starting to draft the proposals for the submarine basing within this year to determine the budget required for the construction, identifying the best design and refining it further. These processes alone take years to do. The Royal Australian Navy's HMAS Stirling in Western Australia is home to the RAN's submarine base. A simple berth like the one above, can be used as a submarine basing facility, although it would be better if they can be covered and deep enough to allow a submarine to arrive or depart without being seen by surveillance satellite or aircraft. 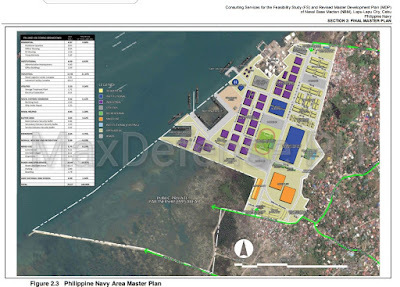 Lets make an example of a development in the Philippine Navy: the construction of Naval Base Cebu out of the current Naval Base Rafael Ramos in Lapu-Lapu City, Cebu. If you look at the base's masterplan, there is nothing allocated for submarine basing. And even if they start to consider it, the base is too space-constraint to have one considering the shoreline's length is already cramped for surface ships. Also, MaxDefense believes that the location of the base is not the best one for a submarine facility in a security perspective. Being along a busy waterway and opposite a shoreline, and in an area where commercial and residential buildings will be constructed overlooking the entire base will make it vulnerable to peering eyes, and makes it easy for the general public to see what's happening in the base, or monitor the deployment of the submarines. The master plan for Naval Base Cebu does not include a submarine base, nor has enough space for the future construction of a submarine basing facility. Photo taken from Philippine Navy sources. Considering the Philippine Navy appears to be following Thai model, it is also worth mentioning that the Philippine Navy should start investing in submarine training for its future crew and maintenance teams. It should expand its current Submarine Crew Training exchange program, wherein Philippine Navy officers and specialists could train with foreign submarine academies to gain theoretical and basic training for submarine operations and concepts. Currently the Philippine Navy has such exchange program with the Republic of Korea Navy, Indian Navy, and the German Navy. For example, currently the exchanges with South Korea are limited to 2 officers per year, and this could be increased to include more including enlisted personnel. Similar arrangements can also be made with the US Navy and the Royal Australian Navy, both of which does not require the need for the student to learn the local language due to instructions being done in the English language. The Philippine Navy must also start to identify a location for its Submarine Training Center like what the Thais did, which will include a facility for a Submarine Simulator. It is highly possible that a Submarine Simulator might be set-up at the Philippine Navy's Naval Education and Training Command (NETC) in San Antonio, Zambales, which is also the expected location for the Philippine Navy's planned Surface Ship Bridge Simulator and other simulation systems planned for future acquisition. It is also better to package the acquisition and setting up of a submarine simulator center with the submarine supplier, since the simulator should match the submarine to be acquired. MaxDefense got confirmation that most, if not all of the submarine offers made to the Philippine Navy can also provide the submarine simulator system as part of the package if the Philippine Navy asks for it. 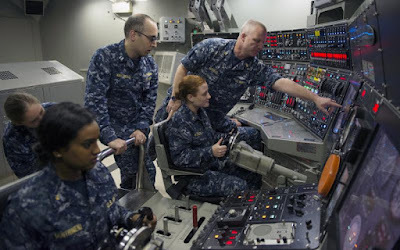 A Submarine bridge simulator like the one above would be among those the Philippine Navy should consider having prior to the delivery of the submarines. There are other simulation systems for submarine operations that can be considered for acquisition to allow the PN to train and qualify crewmembers without too much reliance on the actual submarine. Photo taken from AFCEA's website. Looking at the Malaysian model, the Royal Malaysian Navy was loaned with a retired Agosta-class submarine previously operated by the French Navy, to serve as a training submarine prior to the delivery of the Scorpene-class submarines they ordered from French shipbuilder DCNS. The former French Navy Agosta-class submarine FS Ouessant was loaned to the Royal Malaysian Navy from 2005 to 2009 when it was returned to the French government. They then decided to just transfer the ship to Malaysia, which the Malaysian government turned into a museum ship. Meanwhile, the South Korean model was having midget submarines first before acquiring conventional diesel-electric submarines. The ROKN employed their Dolgorae-class midget submarine for training the initial batch of submariners, while also using them for a number of duties once the ROKN started acquiring the Chang Bogo-class submarines. The Philippine Navy may also look at the possibility of having such arrangement with the shipbuilder it will be choosing. For example, German shipbuilder TKMS may employ a Type 206A submarine (if one is still available) as a submarine training ship for the Philippine Navy should they choose TKMS as the prime contractor. But this might be a difficult arrangement considering that many of the countries that offer brand new submarines to the Philippine Navy may not have an available retired but still usable submarine that it can bundle with the deal. For example, only Sweden probably can provide such using its Sodermanland-class (upgraded Vastergotland-class) submarine which are scheduled for retirement in 2019-2020, although leasing or purchasing one of these submarines might jack up the cost of the program. MaxDefense will discuss this in a different blog entry in the near future. Employing the Sodermanland-class submarine as a training submarine may also allow the PN to use it as a normal attack submarine as it is not too old and may still be good to serve for another 15 years after upgrades. 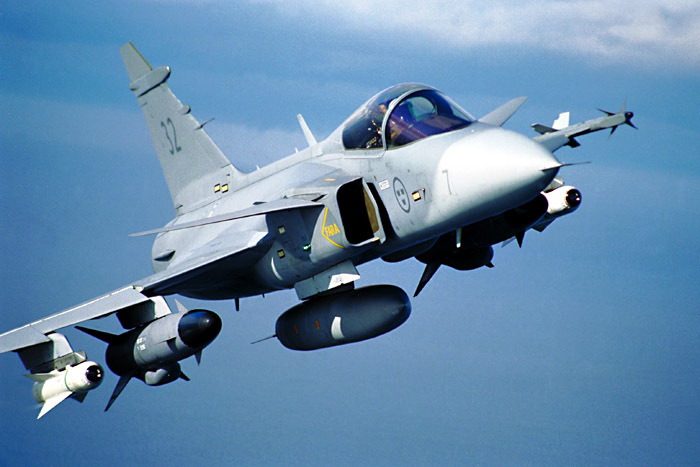 But it may also mean the Swedish government may lease or sell it at a higher price and may affect the PN's budget for the Submarine acquisition project. Credit to owner of the photo. Planning for submarine acquisition doesn't stop on the submarines itself, but also needing to consider the overall state of the Philippine Navy's fleet assets. Currently the Philippine Fleet's surface assets under the Offshore Combat Force, Littoral Combat Force, and Sealift & Amphibious Force are all lacking in sufficient quantity and quality, with ageing assets plaguing the operational availability and capability of units to be able to meet their respective missions and duties. It would be best to note that the Offshore Combat Force only has 6 modern naval assets, with 3 still in the process of upgrades (Jacinto-class), while the other 3 ships are being run like hell and have been missing their maintenance schedules just to meet requirements (patrols, attending foreign engagements, joining exercises, etc). The rest are World War 2 era ships that needs replacement 40 years ago. The Littoral Combat Force is mostly made up of ageing assets that needs replacement ASAP. Same is true for the Sealift & Amphibious Force. Despite the Horizon 1 and 2 phases of the Revised AFP Modernization program, the Philippine Navy has not been able to significantly replace its ageing assets, not is it expected to happen within the next 5 years. It is also not helpful if the Philippine Navy divert its funds for acquiring Corvettes and Offshore Patrol Vessels just to fund the submarine acquisition. MaxDefense believes that priority should be given to improve the surface fleet first and foremost, considering it is the basic fleet asset of a modern navy, while submarines are just welcome additions if the government has the capacity to provide more for the navy. So, is the Philippine Navy ready for Submarines? MaxDefense believes that at the moment, the Philippine Navy is not ready for submarines or submarine operations. This is due to lack of qualified personnel, training of crew and maintenance teams, basing facility, or even doctrinal requirements. All of these deficiencies can be addressed though, with monetary support from the national government since solutions to these problems can be made by the Philippine Navy if only they have the financial capability to do so. Horizon 2 phase ends in 2022, so the Philippine Navy actually has 4 years to prepare itself to close the gap in the deficiencies they have. So far, MaxDefense does not see a massive improvement in its push towards meeting at least a few of the requirements it needs for submarine operation between 2018 and 2019. Honestly, based on the historical assessment of how the Philippine government and the Philippine Navy move with their funding program and acquisition projects, MaxDefense believes that it is very unlikely that the Philippine government will pour in massive amounts of financial support for the Submarine Acquisition Project to be possible to make into a contract by 2022. The slowness of action by the all parties concern. Nonetheless, if there is a miracle in the form of a genuine support from the national government within 2018 and 2019 to make this project happen, then it is still possible for the Philippine Navy to meet its goals to sign a contract package to acquire submarines before the end of Pres. Duterte's presidency in June 2022. A miracle. MaxDefense will discuss more about the Submarine Acquisition Project in future blog entries, once we believe that it is realistic and highly likely that this project will push through. Press releases from the government won't make a dent unless we see signs of real interest in making this project happen within this Horizon 2 phase. With the current political climate in the Ph, i think it is better for the Ph Navy going on a similar route to the Singaporeans. First acquiring secondhand subs for training and focusing the bulk of their H2 budget for basing construction. 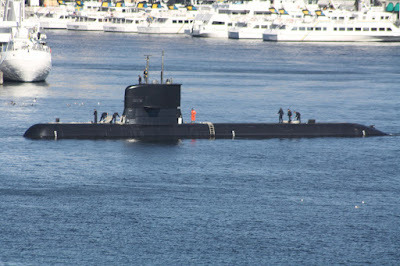 Once facilities and training are hopefully secured they can (maybe) acquire a brand new sub on H3. If you want my opinion MAX, I think Russia would be their best option for Submarines. Russia has the improved Kilo class SSK and the Amur/Lada class SSK that is primed for the Philippines. Russia has plenty of Kilo class SSK's from the 877 and 636.3 version in stock that can be loaned out to the Philippines while the Philippines are waiting for theirs. On top of that, Russia can provide all the training and infrastructure support as well. The Södermanland-class submarine from sweden is one option but I think the Philippines can make a better deal if they pair it with the Gripen and Erieye system. Then you also forgot that the Spanish Navy is going to retire their Galerna class Submarines and they are another option the Philippines can make a grab as well because Spain is replacing them with the S-80 class Submarines. The Italians also have the Sauro-class submarine that can be used as an interim submarine. I also think you forgot how Bangladesh got two used Type 035G Submarines from China as well. Bangladesh is using the Type 035G Submarines as a training platform and also for Coastal Defense and Coastal Patrol. As what i suggested to you before, the best path is to get 2 used submarine in horizon 2, with 4 new submarines in horizon 3 and beyond. Getting 2 sodermanland submarines first is the best option, enabling training with singapore which operates similar subs, and the possibility of getting singaporean subs as spare parts source when they are retired. Some errors in the article. Vietnam actually bought 2 North korean Yugo class submarines in 1997 as a precursor to getting the kilo class submarines. Singapore bought and commissioned 4 sjoormen submarines, not 2, with 1 more bought specially as a spare parts source. Malaysia started submarine training since the 80s, sending men to be submarine qualified in turkey, pakistan and australia. 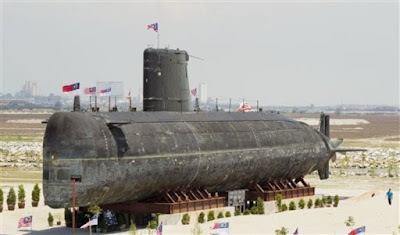 Thailand was south east asia's first submarine user. They bought 4 Matchanu class submarines from japan in 1938 and was in use up till 1951. 1 the legendary lousy political will of the Philippine government. If such simple project is hard to accomplish what do you think will happen now that I read that it is 5 times more complicated this project is not to mention the enormous support it needed to maintain it. 3 Our current leader endanger their so called friendship while they are allowed to modernize while ours is forbidden. I hope all this reasons are valid and should be addressed, least will be only in the study, study, study phase. If only our navy officers could hear the laughing at their back on how our country the last of the big economies of ASEAN to have a "first world military asset" which is still to be materialized when I see it. LIFE UNDER THEIR RULE..AND ONCE THEY ARE IN POSITION THEY WILL JUST DO ANYTHING TO GET ALL THE POLITICAL AND SELFISH GAINS EVEN IF THEY HAVE TO SELL OUR LIBERTY, FREEDOM, DIGNITY AND PHILIPPINE SOIL AND OTHER TERRITORIES WITHIN OUR CONSTITUION AND EEZ LIKE SABAH, SPRATLLEY ISLANDS AND PANATAG SHORES....PURO BUWAYA, SAKIM AT WALANGHIYA AT KUNG UMASTA AKALA MO MAY PAGMAMAHAL SA ATING BAYAN AT MAMAMAYAN. ITO MGA SUGAPANG LIDERATO NA PAWANG DI MGA FILIPINO. BAKIT DI LANG NATIN SILA BASTA PAALISIN SA ATING GOBYERNO AT SA ATING BANSA PARA GUMANDA NAMAN ANG ATING KABUHAYAN TUTAL DI NAMAN NILA MAGAMPANA ANG KANILANG TUNGKULIN AT PURO SILA SALITA AT KILANG SA GAWA. PINABAYAAN NA NILA ANG ATING BANSA NA MAKAMKAM NG MAKAMKAM NG ATING KAYMANAN DI LAMANG SILA PATI NA RIN IBANG BAYAN TULAN NG TSINA. If there's a will...there us a way! Yes we are ready or can be ready asap if need be. All we need is determination and will to complete all that was listed in the modernization projects. We must set aside politics and corruption. At present its just like we are trying to bite more than what we can chew. Make a formidable navy and air force bases defended with modern land base weapon system, acquire small but fast ships with modern weapons, acquire missile system the likes of Russia's S-4 and hide it from any surprise attack and have a stable military communication link and modern command center. subs will be the last. "Honestly, based on the historical assessment of how the Philippine government and the Philippine Navy move with their funding program and acquisition projects, MaxDefense believes that it is very unlikely that the Philippine government will pour in massive amounts of financial support for the Submarine Acquisition Project to be possible to make into a contract by 2022. The slowness of action by the all parties concern." ......yup, very right about this. We only have to look on the still ongoing acquisition of the ex-Pohang to see how 'fast' the government is. Other countries were offered later by SoKor yet they were still able to complete the transfer much earlier.....but in any case, screw Option 2, only hhi and it's 'commissioners' will be the clear winners here...better go with option 3 and get more Pohangs as stop gap for the corvette acquisition. Why not just lease the Vastergotland and ask the Swedes for a package that includes training + base construction + doctrinal support (if there's such a thing! hehe). Make the lease 5 years, just in time for H3 when acquiring submarines will (hopefully) not be as expensive since we'd have submarine bases by then and our guys won't need as much hand-holding anymore. This might even pave the way for the acquisition of (maybe) up to 3-4 subs in one go. 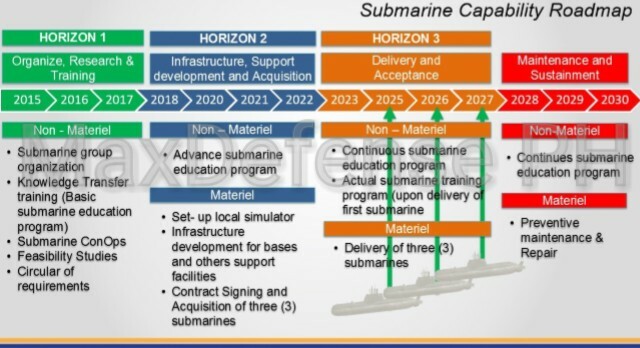 I think getting 1 leased submarine plus all the necessary training/education in sub operations plus the construction of submarine basing facilities (and know-how) won't be a bad accomplishment for H2 all on its own. Why delay the modernization by leasing an old submarine if there are options available for new submarines? The submariners have been training in Europe for a few years now and there will be a contract made for foreign consultants or a foreign navy to train the crew further. How much longer should the PN wait while China has been building more and more assault ships for invasion. Philippine presidents are the most lackadaisical presidents in the entire world. Despite having lost its eastern EEZ to China, they still keep military modernization in the back-burner. What will it take to wake them up? A full size invasion but by then, it'll be too late. The only course of action left by then would be to surrender. Of course in the back of their minds there's always the US and its allies to save the day. Well, if China's incremental invasion would still work, perhaps their next step is the Batanes and Babuyan Islands or perhaps Palawan takeover By then will any of her allies offer help if they have no respect for a country who do not spend for its defense? The fact of the matter is, modernization is a misnomer. In truth the Philippines never had a true navy. All along the so-called PN had always been just another Coast Guard. What they're undergoing now in a transformation from a Coast Guard to a real navy. The fact that naval bases are not even available for large ships and, the fact that training crews for naval platforms and weapons are hardly underway should open their eyes to this fact. Yet the delays, the mulling (a word that tops the AFP lexicon list) goes on and on. Someone tell the president, "Hello, you really don't have a navy; forget modernization and say transform into a navy that you don't have." Who even suggested 3- submarines and 7- minisubs? Really? How does one make long patrols with mini subs or long naval blockades? Mini subs are for very small missions and have no place in defending from a full invasion. Are you really going to have a busy traffic of mini subs going back and forth to battle zone and base rearming and refueling? The truth of the matter is, if were affordable for the Philippines, I would recommend the Japanese Soryu Class at 3,000 tons and carrying a much larger load of torpedoes and missiles. Seven 1,400 submarines and 3- mini subs would be the better composition but, when all is said and done and when the economy almost doubles, I'd add 3- Soryu Class to the mix. So again, we have ignored acquiring decent A2/AD assets and instead focused on getting submarines, for the sake of military machismo. Akala ko ba praktikal mag-isip ang Pinoy? This is stupid! We don't even have a decent operating radar system around our shores because of maintenance issues and here we are talking about submarine acquisition? !